Kelevra K9 is now open and accepting new clients. We pride ourselves on being professional dog trainers in Loveland, our main goal is to help you and your dog live a happier, more peaceful life! We are based out of Loveland, CO, but serve the Northern Colorado area, from Longmont to Fort Collins and as far east as Greeley. We’ve been training dogs privately and in our dog club for over 30 years combined experience between Zach, our master trainer, and Chris, who is taking over ownership of Kelevra K9 in June. A few of the services that our dog trainers can help you with are; detection training, basic and advanced obedience, puppy training, bad dog behavior modification, separation anxiety, aggressive behavior, tracking, protection dogs, and dual purpose working dogs. Our training isn’t for just the dog, we know that a dog’s behavior is reinforced by the owner’s behavior and training. Because of this our dog training programs are scaling programs. Meaning that we involve you, we help and teach you to train the dog so that your bond grows, we want both you and the dog to be comfortable with each other 100%. Plus you get the benefit and joy of knowing what to do in many situations and know how to train the dog further to keep working with him outside of our training sessions! First things, first we need to evaluate the dog. We can come to you or you can come to us. In our opinion it is better if we come to you so the dog is in a comfortable, familiar place. Each dog is different and has a different capacity for training, this free evaluation allows us to develop a solid training program for your dog. We will sit down and go over this evaluation with you in depth and provide you the training program outline that will include timeline and total cost. Each training program is customized to the dog, some dogs may only need a few sessions and others may need many more. Generally, the more ingrained the bad behaviors are in the dog, more training sessions will be needed to get the best possible results. Most of our clients only need 2 weekly dog training sessions, to achieve the desired results. Once we agree on the program and the training agreement is signed, we start the dog training according to the outline! We Guarantee Our Dog Training! We guarantee our training techniques and results. You are not a client to us, you become family. We want to be certain that you and your dog continue a happy relationship and that the training sticks! We offer free follow up classes and sessions. 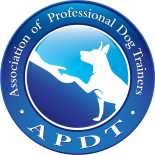 Get in touch with us today to schedule your Free Dog Training Evaluation! We’re excited to get started working with you and your dog!